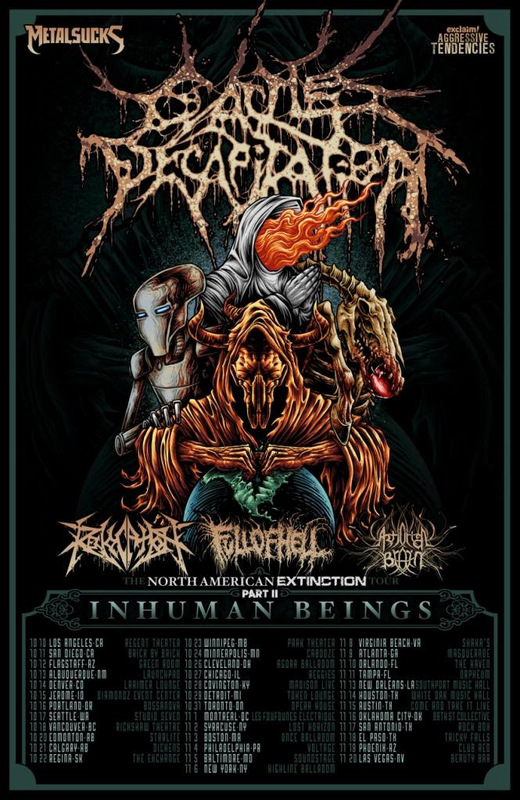 CATTLE DECAPITATION will be touring in support of their most recent full-length, 2015’s The Anthropocene Extinction. As the most sonically and thematically engrossing record of CATTLE DECAPITATION‘s maniacal discography, The Anthropocene Extinction was named one of the best albums of the year by Loudwire, MetalSucks, and Metal Injection among many others. To preview and purchase the acclaimed record, visit: metalblade.com/cattledecapitation.